UPDATE: We have an 8-person team competing this year. Come out to watch the start of the race on Saturday at noon. Visit the riders at site #368. The 24 Hours of Summer Solstice at Albion Hills is a team relay race that lasts for 24 hours. Don’t feel intimidated if you’ve never raced before. This is a citizen’s event so it’s designed for riders of all abilities. 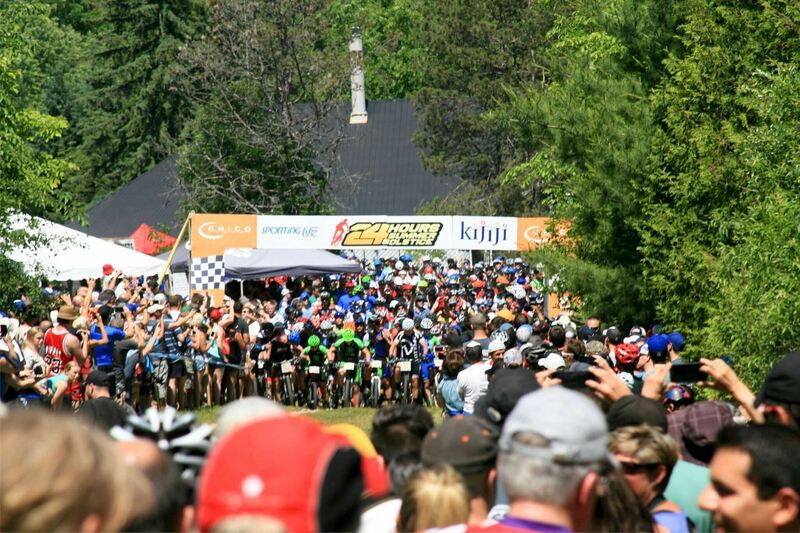 With over 2,000 riders it is one of the largest MTB events in North America. Race web site. The Albion course is about 17-kilometers long and is a mixture of single track and double track trails. Most CCC teams are composed of 8 riders, so each person rides two or three laps within the 24-hour period. You ride for about 1½ hours and then rest for 7 hours. The cost to race is about $115 per person. This event sells out quickly so act now! To register, or for more info, email club member Martin Rose.